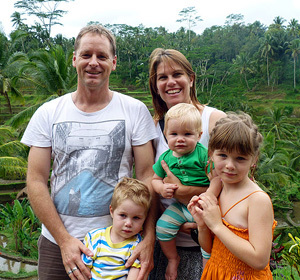 The Travel Almanac team is the Wood family of Rob, Clare, Olive, Jetson and Casper. We love to go out and explore this world of ours whenever we can. This site is a collection of lists and other notes from our traveling adventures, insights gained from our travels, and other travel information that we think would be useful for travellers like ourselves. We have done quite a bit of travelling already, though there is so much more we want to see and have yet to do (see our personal travel blog site). As you will also find or already know, the more you travel the more you want to do. We are always planning our next adventure, whether it is just up the road and around the world. Wherever we go, you can be assured that not long after you will see something about it on this site. There is nothing better than a personal recommendation about something to see or do. On this site we have tried to put a down to earth commentary on what we liked and did not like about a place. We recommend that you don't rely solely on what you read here - collect as much information about a place before visiting it, and make up your own mind. Every place has something worthwhile. Have we really done it? Here are some photos of us in each of the countries we have visited. This site is part of the Topend Sports Network of sites.